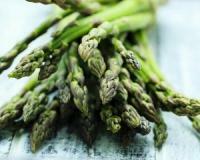 The scientific community has finally caught on that the lower portion of asparagus stalks contain a propriety ingredient called ETAS, which has the unique ability to increase the production of a powerful, protective heat shock protein 70 (HSP70). If the research behind ETAS is any indication, this cutting-edge, enzyme-treated asparagus stem extract could change the face of sleep hygiene forever! Keep reading to learn more about it. The secret behind the sleep-inducing, benefits of ETAs is HSPs, little molecules that provide the same stress-melting effects of an hour in the sauna or a long, hot bath. A number of factors can trigger the release of HSPs, such as free radicals and excess heat. While this may sound unhealthy, it’s also the point – HSPs are designed to come to your body’s rescue and repair damaged proteins. HSPs also allow the proteins in your body to stay functional. ETAS is an asparagus stalk extract that contains compounds that aren’t contained in raw asparagus extract, which trigger the release of HSP70. Asfural happens to be especially good at it. In other words, ETAS delivers a heat shock protein windfall to your body while promoting deep sleep, lowering your stress levels and providing anti-ageing benefits simultaneously. Instead of sweating your way back to healthier sleep habits, all you have to do is take an ETAS supplement. This might sound too good to be true, but according to a growing body of research, it’s anything but. Keep your eyes peeled for more on ETAS as a way to manage sleep and stress. Do you suffer from seasonal sniffing and sneezing? Beware: Your allergies could be setting the stage for cancer! Is a legal compound from an illegal drug the answer to breast cancer prevention?